Throughout the week tons of videos pop up online and we don’t usually like to post a single video as an article unless it’s something that’s part of the story or a pretty big deal. We will often use the “featured” spot on the right to highlight videos that are sent in or the more popular videos from the week. But we do get a lot of emails asking for more videos, and thus, the JMR VIDEO FRIDAY was born. We’ve taken a collection of the hottest videos that were uploaded this last week. There are some real gems in this bunch, we hope you like the ones we picked. 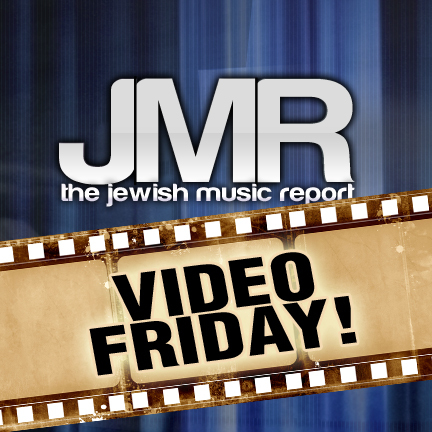 If you see a video that you think we will also like then please send it to us at jewishmusicreport@gmail.com. If you ever want to go back and see all our Video Friday’s, simply go to VIDEOS tab on the menu and click the JMR VIDEO FRIDAY sub-header. …. and special for Pesach, enjoy a Robot Seder!